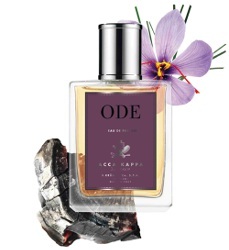 Italian brand Acca Kappa has launched Ode, a new fragrance. An ode to a warm essence in continuous movement that creates a new universe by making the senses vibrate. A sensory journey characterized by the precious force of the Oud that meets the sensuality of Rose, Saffron and Ginger. Acca Kappa Ode is available in 100 ml Eau de Parfum. Oooohh… Saffron! But then… oud. Will try if I have a chance. I will try it of course. Oh, there are still brands left, don’t worry!